First to speak on Saturday was Austin Mayor Steve Adler. He was introduced by organizer Conor Heffernan. Siegenthaler then introduced Parkland survivor Jack Haimowitz, who will be attending UT next year at the McCombs school of business. Haimowitz stressed that national unity was the ultimate end goal of the movement, to bring Americans together to stop an epidemic of gun violence. Siegenthaler said her introductory speech came together relatively quickly. Freshman chemical engineering major Selina Eshraghi was the volunteer coordinator and social media manager for the march. Eshraghi introduced State Representative Gina Hinojosa in a speech that recounted her own tragic experience with gun violence. Eshraghi said she knew Siegenthaler before the march because she worked on the TEDx Youth at Austin team that Eshraghi led. Organizers Siegenthaler and Jack Kappelman said 20,000 people attended the march on Saturday. Among the packed speaking roster of students and politicians was actor and Austinite Matthew McConaughey, who spoke briefly and endorsed the core tenants of the March for Our Lives movement, including an assault weapons ban. At the conclusion of the march, Democratic gubernatorial candidate Andrew White was greeting marchers in front of the Capitol. If he wins the primary runoff in May, he will face incumbent Governor Greg Abbott in the general election. 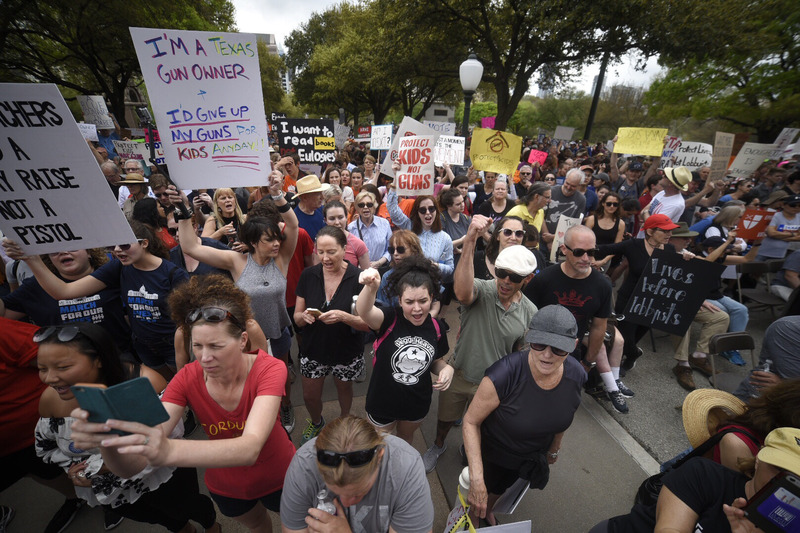 Just over a month after the shooting in Parkland, Florida that left 17 dead, thousands of Austinites marched from City Hall to the State Capitol to protest lax gun laws in Texas and across the country. 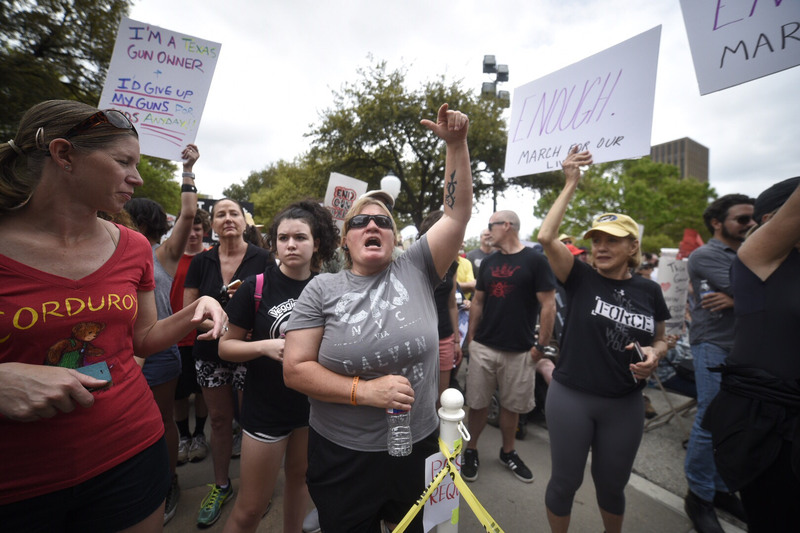 After brief remarks at Austin City Hall from march organizer Kari Siegenthaler, one of three Liberal Arts and Sciences Academy high school students who planned the event, marchers began walking down Congress Avenue toward the Capitol. The front end of the march arrived at the at 12:25 pm, with speakers including Mayor Steve Adler, Parkland survivor Jack Haimowitz, and actor Matthew McConaughey set to take the stage at 1:30 pm. Among the marchers Saturday was UT journalism freshman Alyssa Villarreal.